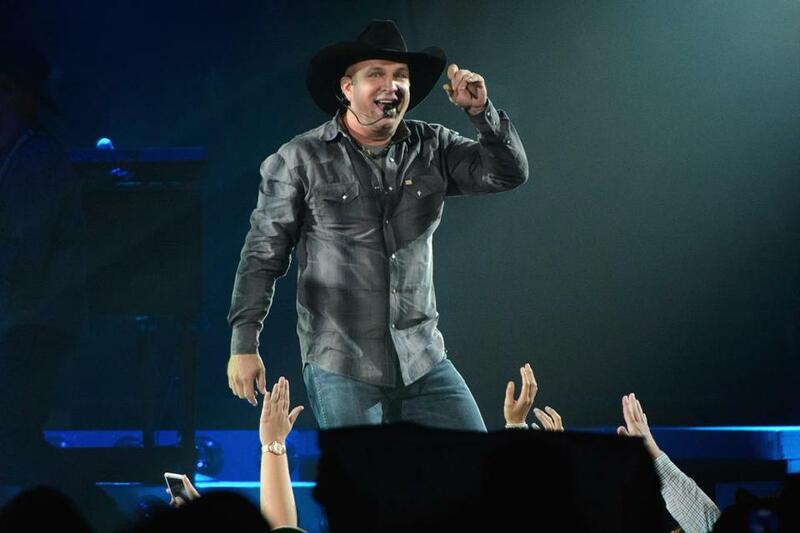 It was a troubling sign when country music titan Garth Brooks released “People Loving People” as the lead single from “Man Against Machine,” his first album of all-new material in 14 years. Presumably for this momentous release, which would be showcased on his current tour, Brooks was offered the best tunes available. (He also co-wrote three.) But that blandly uplifting first taste was underwhelming. The rest of “Machine” ascends from there, but only sporadically matches Brooks at his peak. The baker’s dozen tracks on the collection break like so: two classics, six above-average cuts, and six songs, like “People,” that are just fine. Brooks’s fans will be pleased that he hits all his touchstones, including a cowboy song (the “Sweet Baby James”-esque “Cowboys Forever”), catchy midtempo rockers (the clever “Cold Like That”), a stone country number (the silly-fun shuffle “Rodeo and Juliet”), and a ruminative ballad (“Midnight Train”).